January 14 , by Shellie Wilson. Neon is all the rage right now but for how long? Investing in a piece of jewelry be it your DIY time or money could be costly. This tutorial re-purposes outdated rhinestone jewelry into some fresh and new. 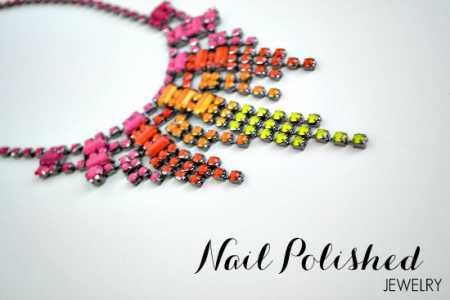 This necklace uses neon nail polish to create what looks like a Light display across your neck. Full tutorial can be viewed here.